Our resident Moving Doctor, Mark Nash is in the house! 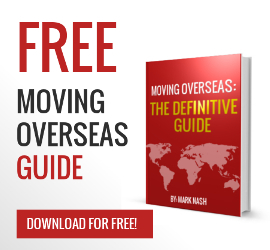 Mark has been in the moving business for 33 years, originally from England; he has moved 5 times internationally and has worked in England, mainland Europe, The Middle East and for the past 19 years in the USA. If he doesn’t know the answer to the question, he has enough friends in this industry to find out for you. He currently sits on the board of the International Shippers Association and the Commercial Affairs committee at the International Association of Movers. Mark will always do his best to provide an answer honestly, professionally and treat this forum as a place where everyone can learn about moving overseas. We are from Brazil and we have just arrived in London. Our intention is to bring our dog through an animal carrier. We have already filled out our applicattion for transfer relief. However it was rejected claiming the need for “Packing List”. – Is this “Packing List” applicable to us who are Brazilian and have come to work for 30 months? Or only for the resident with English nationality? Hello Maria, the packing list is needed to go with your ToR application if you want duty and tax free entry of your belongings and pets into the UK regardless of what nationality you are. British, European or foreign, everyone needs to complete the ToR. Now if the only item you want to ship is your dog, I would list 1 dog on a packing list with a value like 300 pounds. Hope that helps, good luck and enjoy your stay in London. If you have any further questions about a ToR then don’t hesitate to ask, cheers The Moving Doctor. My daughter arrived home in England today, after 4 years in New York. She’s arranged shipment of her things with Upackweship, and I’d like to know how long it takes to ship from Charleston (where she has just been told it has arrived) to England (here in Chelmsford). We’re trying to coordinate a day for a domestic removals firm, and this information would help greatly. Thank you. Hello Andrew, I bet your pleased to have your daughter back home! Normal transit time is 5-6 weeks on average but is depends a little on what service your daughter booked so I am going to pass this message over to Natalie in our office to email you an up to date status report with an eta of the ship into Southampton England. Hello Mark Nash, We are almost there with making booking of 100 CU FT. but we are confused with different time frames on your site and blog so would like some clarification. We arrive in Scotland week of Feb. 19th. 2018 We would like our personal belonging to arrive week of Feb. 26th. Your site says 3 – 4 weeks but your blog says 5 – 6 weeks. Please advise. When should we request PICK UP FROM YOU for Monticello FL to Galashiels, Scotland. We do not want our box to arrive before we do. THANK YOU! Oct. 4th, 2017. Hello Patti. Its really hard to say as there are a lot of variables. For example it could be the last U Crate to load into a shipping container and literally only be in the warehouse 24 hours before loading or it could arrive the next day and have to wait may be up to 2 weeks before we load another container. The ship might sail direct and dock in the UK in 10 days or it might go via Rotterdam and Antwerp and take 17 days and Customs might clear it in 24 hours or a week. So its probably best to say 4-6 weeks. February to be honest is a quiet time for overseas moving so I would budget for 5-6 weeks all being well. The worst case if it arrives a week or 2 before you are ready is we will store it for you until you let our UK office know you want it delivered. If that is the case they will charge you equivalent of $25 per week so 2 weeks storage is only an extra $50. I hope this helps and sorry to be a bit vague. Hello Mark, Thank you for your reply. We did choose UPACKWESHIP for our moving back home to Scotland and our 100 crate is now safely in Charleston! It arrived in Charleston today 1st Feb, 2018. ! We are now excited to hear about it’s move to the container and then the cargo ship to bring it home to Old Blighty and then Bonnie Scotland! We would like to say A BIG THANK YOU to Alicia who has guided us through this amazing experience! She is awesome You gave us a time frame of 4 – 6 weeks so is that still good? We will be home before our crate but looking forward to seeing it at our door in Scotland! So we are obviously excited but also hoping for a safe speedy delivery of our crate. Keep up the great communication! It helps our nerves! Cheers! Hi Patti, good choice! Yes Alicia is a great UPakWeShip team player. Everyone loves her! I would say in February transit might be more like 5-7 weeks. Make sure you give my sister Franny in the UK office some Scottish stick if you are talking with her! Many thanks and safe travels, cheers The Moving Doctor. I’m moving from Colorado to Ecuador and thought I might load a trailer and drive to a dock to get on a boat. I want to carry my vehicle with me and thought a trailer might make it easy to go straight to where I’m going. Who would you contact if you wanted to move this way? How could I get an estimate from you on moving everything by e-mail. I have no phone service here. How long will it take from my shipment to reach Kuala Lumpur from the UK. I have decided yet if I need a shipping container or a few crates. If I go down the crate option – do these crates then get put into shipping containers for sea transportation? we need to move some boxes and a couple of pieces of furniture (an armchair and a chest of drawers from Boothbay Maine to Italy. we tried sending a request via the website and also an email. so is there direct phone number we can call? What : Small Moval so please quote both 1 U crate 100 & 1 Ucrate 200.
for the U-crates is there a maximum weight? should we book for a U-crate 200 that you need to collect yourselves is it possible if we get an extra U crate 100 that you collet that too? Hello “Fabs” I believe you have already spoken today to Natalie and Stacey so all is good? We are moving to North Yorkshire, in the UK, from Calgary AB, Canada, in about 6 months, we have about 2 standard pallets, full of personal items no furniture, what would be a approximate cost for each pallet, we are trying to work out how much we can afford to take, also is their a weight limit on the U-Crates. Hello there! I’m moving to Lucca, Italy, from the SF Bay Area in May, and I have a few questions I can’t find answers to on your site. 1. I will ship either a 100 or 200 crate. How long would the shipment take to get there? 2. Where is the terminal I’d go to if I choose the 200 size? The transit time on average is 8-10 weeks from the West Coast to Europe. The terminal in San Francisco where you would load a U crate 200 is near the International Airport. We ship all our European deliveries into The Netherlands first so they clear customs in Rotterdam and then get transported to Italy. The U crate 100’s as they are curbside tend to arrive on a straight truck with a tail lift. The U crate 200 as its an inside residential delivery would arrive on a moving van which tend to be larger. If the larger truck can not get to your residence there are 2 choices normally. 1/ you meet the truck close by in a parking lot and take delivery there for no additional charge. 2/ you pay extra for the mover to hire a smaller van to transship your delivery from the larger truck and they deliver to you in the smaller van. I hope that helps and makes sense. Anything else let us know. Great question here Cheryle good luck and have fun, we are moving to Sicily and would need to know this too. Have fun. I have a Apple desk top computer. – and the original box. Concern about packing into a crate. Shipping from California to the UK. Any advice? Hello Anita, if you have the original box and you are then placing into a U Crate it should be fine but if you are concerned wrap the box in bubble wrap then place it in a larger box just to be safe. My husband and I are currently going around Australia in a Caravan. We have all our furniture and goods in Storage in a Relocations Warehouse in Brisvane waiting for transit. We were moving to Nz after finishing our trip. But life gas not been good lately and we may split. My husband staying in Australia, his homeland, me returning to Nz. What would the proceedure be of sortingslpitting our goods while still in the Warehouse without costing us too much money. Thankyou. Hope to hear from you soon. Hi Heather, sorry to hear your news. Unfortunately we are in the USA and Europe so we do not operate services between Australia and New Zealand. I would ask for a few quotes and personal recommendations for movers in Brisbane that specialize in New Zealand shipping. Blogs are a good source to get information and personal recommendations. All the best, The Moving Doctor. I have packed my U-Crate 50 and kept a note of what I put in each box or bag, and I also stuck a hand-written label on each box/bag, with an item number. Now I need to do my packing list. A lot of your helpful instructional materials say not to be general about what is in each box, or customs will be suspicious. However, the packing list generator tool seems to require me to be general, in that I can’t say there are five or six different unrelated things in box 1. What do I do now? Please help! Thanks. Hello Stuart. Please use our online packing list tool that uses customs friendly wording for your packing list. For mixed boxes just list whatever the main item is. For example cutlery, kitchen bowls, pots, pans, plates etc can all be listed under kitchenware. You do not need to be very detailed with the packing list. Just a list like box 1 books, box 2 kitchenware, box 3 Clothes, box 4 bedding, box 5 games that sort of thing. I have about 3 large paintings on a canvas I need to ship. What is the best way to pack these items? Hello Marnin. The safest way would be if possible to roll up the canvas and place in a cardboard tube. If you can not roll them up as they are in frames then first cover the painting in soft tissue paper and then wrap in bubble wrap.Place the wrapped framed paintings in proper picture cartons that you can buy from any self storage place, U Haul or on line. I hope that helps, anything else you need let me know, cheers The Moving Doctor. We need a 40 ft container on our property in Burlington NC to store our home furnishings until we sell our home. We then need it transported full to Palm Coast FL.. I see you have terminals near me in Greensboro and in Jacksonville. Would you be able to accommodate this within the U.S.? Thank you! Hello Mark, we’ve done the move from the US to Germany two years ago with UPak. Now it’s time for the move back. We used a 20’ container, which we will probably need again. Does UPak provide shipping from Germany to the US as well? Hello Christoph, we certainly do. I will ask our EU office to contact you to get some more information and then provide you with a door to door quote. Thanks for the info, looking forward to speaking with someone about it. Is it true, that owner packed containers are more difficult to get through customs than containers packed by moving companies? I’ve got the feeling it’s a sales pitch by movers here to get you to purchase the packing service. Any thoughts? A very good question Christoph! Customs overseas, anywhere in the world require a packing list so they can look at it and see what is in the container. The only way Customs overseas would know if you have packed it yourself would be if they were presented with a scruffy piece of paper saying something like 55 pieces of my stuff etc. The other way would be if you packed the items yourself and then paid a mover to load the container and make the packing list for you. If that is the case the mover would create a big red flag packing list saying item 1/ PBO, item 2 PBO, item 3 PBO which stands for “packed By Owner and doesn’t explain what the item really is. However at UPakWeShip we have our own packing list creator app that allows you to complete a professional packing list where you complete all the items online using your phone, I pad, tablet or PC saving it as you go and then when you are ready, you click submit and you and UPakWeShip get emailed a very professional looking packing list all typed out in a PDF format to give to customs. This packing list is as good and professional if not better than any moving companies packing list which is often hand written on a carbon copy form that is so feint its hard to decipher! I hope this helps and makes sense. Bottom line yes a mover wants to charge you a fortune for packing and scare you into it but I think you can pack a lot better and safer than a $10-$12 an hour mover and customs the other end wont know who packed and loaded it. Cheers and happy packing, The Moving Doctor. Hello Jennifer, very good questions. Unfortunately its been a while since I have personally been involved with shipping pets so I am probably not the best person to advise.However I have heard many good things about Virgin Atlantic and believe they do have one of the best reputations for looking after pets. Obviously if you deal with the vets and the paperwork yourself and contact the airline direct you do save yourself a lot of money but you could go to a pet carrier like Air pets to look after your pets who are well aware of the latest rules and regulations and could give advice about what to do with the nervousness etc. My other advice would be to post a note in one of the British Facebook groups here in the USA asking for recommendations. If you ask you will find a lot of people who have done this before and can help you with advice of the do’s and don’t. Examples are on this side of the pond, Brits in LA, Brits in Florida are all popular Facebook groups where many folks can advice you. Hope that helps, cheers The Moving Doctor. We are planning to move from San Francisco to Valencia (Spain) and we are considering a U-crate 200. First of all, I understand that we can bring the U-crate 200 to our apartment so we can load it to a truck and bring it to SF terminal. Is that right? What happens if during this process we realize that one U-crate 200 is not enough and we need let’s say a U-crate 100 or 50? Can I add it afterwards? Is there any discounted price for more than U-crate? Thanks! Hello Carlos, yes you are more than welcome to hire a truck and take the U Crate back to your residence and load it full on the truck and take it back to the terminal. Make sure the paletized end is within reach of the doors so the fork lift can unload it out of the truck at the terminal ok. We can send you a U crate 100 / 50 but it would take about a week to get it to you. I suggest if you have any excess makes sure they are boxes and when you arrive at the terminal ask them if they have a pallet available to put your extra boxes on or find a local pallet from behind a store or industrial unit and put extra boxes on the pallet. You would need to run some shrink wrap around the boxes on the pallet and put a couple of straps over it to make sure its all safe. Oh and yes we will give you $100 off the Pallet, U Crate 50 or 100 price if you drop it off at the same time as the U Crate 200. Hi Folks, a few things, one I do love your site and so far are planning on using you. Just read the pallet and U crate collection service, we do not have any cement to put the pallet on we live in the country and have a gravel driveway, we do have a flat stone deck at the top of the stairs down to the house, these are large miss-shaped stones…what else can we do? The house is a ways from the road and it has dirt sides and we can’t pack on the road????? Also wanted to say how happy we are that you now ship from the USA baggage, smart move. Thank you for your time. LOL not sure the airlines would like that and not sure the persons would last that long in a big steel box sailing across the Atlantic! Hello Francesca, thanks for the question. Well as my previous post says, we can’t collect from a gravel or stone driveway so may be one of these options could work for you? Depending on where you live, may be you could hire or borrow a fork lift to load it? You could hire like a U Haul truck and load the U Crate in the truck and when our truck arrives on the road you drive down your driveway and back up to our truck and we can wheel it in. May be you have a friend, neighbor or even a work place where loading and collection might be easier? Hopefully one of these suggestions is a good compromise? Hi, We are thinking about a U Crate 50 to ship clothes and small personal items when we move back from California to UK. Can we include a case of wine in the shipment if we declare it? By the time you pay duties and taxes (around 30% of value) its not really worth it and you can probably buy the same cheaper in Tescos or similar. On top of that there will be a handling fee of about $75 for processing and money transfer charges to HM Customs. There is a chance while customs examines the paperwork the shipping container is held and that can result in storage charges on the container which could cost an extra $100 per day. It can get extremely hot in the containers and can be a bumpy ride for wine which can result in after paying all the duties taxes and handling the wine has gone bad anyway. Sorry to sound negative and if you want to, yes we will ship it but unless its very special and valuable I really wouldn’t bother. You can also carefully pack a couple of bottles in your suitcases if you want as you have a duty free allowance in your baggage which you don’t get if shipping it. Hope that helps and let me know if you need further clarification. How much would it be for a Ucrate 100 and how do you go about maybe taking a car with you? I am moving from Sweden to the USA Minnestoa. And about how long does it take for your items to get there? I will be shipping about 200 cubic feet from California to Portugal, which includes a 6-foot dining table (legs removed), a 6-foot bench, a 5-foot cedar chest, two 3-foot round coffee tables, as well as boxes. Can you recommend the best shipping option to use? I was looking at the U-CRATE 200, but saw something that indicated that I might not be able to ship furniture with the U-CRATE. Is this correct? Hello Kimberly, You can put furniture in the U Crate 200, no problem. If it doesn’t all fit in one U Crate 200 you might as well go for the 20ft self load shipping container. It really depends how many boxes you have to go with the furniture. Because of its size the only place where we can bring the U Crate 200 to a residence is within the Los Angeles area. Otherwise you would have to load the U Crate 200 at one of our terminals which are in San Diego, LA, or Oakland. Hi FOlks, Well I’ve been trying download the moving guide for 2 days now and it’s not connecting. The button is under the menu line and when I click it just sends me to the sign up for emails……what’s up doc? Hello Francesca, I think this might be because you have used that email address before. Can you try a different email address to see if that works or I can email you a copy? I’m ready to load my Ucrate 100 can I do it under my carport the clearance is 8 feet!Thank you. Hello Jean Noel, that should be fine as long as its a hard base like concrete and its flat. We would then use a pallet jack to collect it and wheel it to the tail lift of the truck. Anything else let me know, cheers The International Moving Doctor. I’d like to reserve a crate,my question is can I pay the initial $400 with a prepaid debit card? Hello Attila, I think this should work fine as long as the card was purchased or registered in the USA. Hello William, thanks for your message and sorry I didn’t get back to you sooner but I was traveling and couldn’t log onto this blog easily. We don’t have a license for shipping to Hawaii and it tends to be handles by a few specialists. I suggest Googling: Pasha or De Witt companies both are specialists in that lane. I hope this helps and good luck. Cheers The International Moving Doctor. I’m moving from Ohio to England to be with my husband.. I have a question about the pallet moving.. I had wanted to use the 100 box but I have an antique coffee table that I want to bring with me..& it’s 2 inches too long (47″) to fit in it, but it looks like it will fit on the pallet.. I’m concerned that it won’t be as water proof on the pallet as it would be in the box.. I’m sending many photos & personal things I don’t want to get wet..& the coffee table has a record player inside it also..
My question.. is the pallet fairly water proof once it’s wrapped in plastic & will it be in a container or truck the whole time until it’s delivered to our house in England? I had thought of standing the coffee table on its end so it would fit in the 100 box, but I’m thinking that may damage the record player/stereo..
Hello Betha, i think you will be fine with the pallet. Just buy some shrink wrap from a U Haul store or self storage shop and wrap it really well and add some nylon straps around it to hold it and it will be nearly as good as a U Crate 100 and certainly as waterproof. FYI the pallets and U Crates are never outside except for collection and delivery time. They are always either in a truck, warehouse or shipping container. Don’t forget to buy a transformer to the voltage change between the USA 120 and the UK 210 volts so that the record player will work in the UK. Any other questions, let me know, cheers The International Moving Doctor. After moving to America some years ago from the UK, were we used a mover ship everything for us, we are soon moving to Valencia Spain and my husband wants us to do it all I am quite nervous about this and wonder if we have to do all the paperwork for customs if we can actually do it. Being British but with a NIE number what forms will be have to fill in, how much paperwork does unpack do and how much do we have to do..
Hello Irene, thanks for the question. It depends on the service you require. If you are thinking of shipping pallets or U Crates then we consolidate these in a 40 foot shipping container and ship it to our office in Rotterdam for customs clearance and distribution around Europe. If however you are wanting a self load 20 foot shipping container then we would ship this direct into Valencia for customs clearance in Spain. Having said that whether we clear customs in Spain or Netherlands for you, we give you all the paperwork you need to complete way in advance and as soon as we receive your booking. We will certainly help you with the customs paperwork and advice you how to complete everything. Its not really that hard, we do it with people moving over there every day. Hope that helps, and let me know if you would like more specific information after letting me know the service you might require. Cheers The Intl Moving Doctor. I want to order the U-Crate 100 and understand once I book the crate will arrive via UPS in 5-7 working days. Can you confirm if this needs to be signed for or if we are not there it will be left at the property? There is a driveway so it would not block the road? We will be out of town for a few days but want to book now so we are prepared for our move from Florida back to the UK next month. Hi Katherine, yes if you are just booking one U Crate 50 or 100 then we will send out via UPS and NO you don’t need to be there to sign for it. It will be shrink wrapped but to be safe it should be under cover so hopefully you have a porch to protect it or a friendly neighbor who can put it inside for you? Hope that’s OK and anything else let us know. My son is using Upak to move to Sweden. They have pallets to pack. Can we build wooden walls for the pallets to enclose them? Hello Carol, yes you can build wooden or cardboard walls to protect the contents of the pallet. Just make sure they are secured well with banding or shrink wrap. We are planning to ship a large pallet with boxes (48x40x72) from US to Germany. If we have not found suitable housing in Germany can you hold the shipment in storage for us? How much would that cost per week/month? Hello Cornelia, yes this happens a lot. We can store it in Europe before delivery and it will be the equivalent of $25 per week. Are hoverboards able to be shipped from US to NZ in our U-Crate? I know there has been bad press about them in the past so just wanting to check! Hello Shar, this is a good question but not easily answered! They are definitely banned from being air freighted and by the post office, courier companies and by cruise ships but I can not find much info about them being shipped in a sea container. Therefore to be on the safe side UPakWeShip would refuse this item and say they are not allowed. Its just not worth the risk in case anything went wrong. What about alcohol imports to Switzerland? I have some bottled beer I want to bring with me, and I’ve read that one can bring in quite a lot for personal consumption, is that correct? Hello Alex, you can take some in your checked luggage or buy some in duty free and take with you but any alcohol in your personal effects shipping will not only cause delays with customs but you will be charged duty and taxes on it together with a processing fee by the customs broker which will probably end up costing more than the beer is worth. International Moving Doctor always suggests have a good leaving party to get rid of all your alcohol and ship alcohol free! Cheers and let me know if you need anything else. The International Moving Doctor. Hi Mark, I have a small safe ( about 9 cubic feet) that I will be shipping to the UK in my 20’ container. What are your recommendations for this? I’m planning on emptying the safe but should I make sure that the door is unlocked for shipping? Will there be any issues with customs if the door was locked (thinking about the potential for customs xraying the shipment)? Thanks! Hello Dab, the chances of customs wanting to inspect this is very slim but just to be on the “safe” side, suggest leaving it unlocked if its going to be empty. This is going to be heavy obviously to load and unload in the container so suggest unless you have already worked this out, that a a small truck with a tail lift on the rear would be worth renting so it can lift the safe from the ground to the back of the container.. I hope that helps, cheers The International Moving Doctor. Hi Mark, where can I find the Owner Packed Inventory sheets to download. Can’t see them anywhere on the website. Hello Gary, it is in your portal so once you have booked your shipment with UPakWeShip online, you will get a booking number and you can then set up your customer portal with us. Here you will find many cool things like the packing list that you can gradually complete and save as you go. Once you have finished you press submit and you will receive an email with your packing list in a PDF attachment emailed to you all completed and typed. You can also get shipping labels and upload all your documents for customs into your portal. We’re in Boulder CO, and are looking at the U-Crate 100 (or 2 of them) for a move to Australia. We’re thinking of using a local Self Storage unit for interim storage of our items, and assembling/packing the U-Crates inside that storage unit. Problem is… the height of the U-Crate 100 is 78″ and – having been around to the proposed storage facility and taking measurements – the clearance from floor to the opening height of the roller-door is just a tad over 79″. Is this 1″ of difference enough for the pickup team to move the U-Crates out of the storage unit? (nb. I might add that the lady at the self storage facility also remarked that “stoppers” can temporarily be removed from the roller doors to provide another couple of inches of clearance). If in doubt you can cut an inch off the top of the U Crate and then put the lid on. The drivers however will not go into the storage unit to collect them unless its a ground floor storage unit with direct access to where the truck can park and collect them, like the outside garage style storage units. If not you would have to organize the U Crates to get to ground floor level outside so driver can collect them with a pallet jack and place them on the tail lift. Alternatively if you think it would be a problem we can store temporarily before shipping in our warehouse for $25 / week per pallet or U Crate. I am looking to ship guitars and electronics along with clothing and books in a ucrate or ubox100. My concern is the acoustic guitars related to temperature on the boat. Do you know if others have successfully shipped wood instruments this way? Obviously I’ll pack them in hard cases and well insulated. Hello Jade, we have shipped thousands of guitars for famous people as well as people who just play for a hobby. I have never received a complaint about guitars or any other instrument becoming warped or ruined due to the heat in the container. As long as it is in one of the hard cases as you mention I think it will be fine. The only thing I have ever heard of not making it due to the heat in a container is candles. hope all is well! My sister and I are moving in December from Brooklyn, NY to Milan, Italy. We can fit all of our belongings (only clothes, books, misc. and NO furniture) in 10 boxes of approx. 1m x 1m x 1m each. How much do you think the estimate would be if we provide our own boxes and pick them up at the port once they’ve arrived in Italy? We’re both students so our budget is somewhat limited so any advice is greatly appreciated, Thank you!!! Hello Veronica. Thanks for your message. We consolidate all our shipments for Europe into a 40 foot shipping container and ship it to our office in Rotterdam, The Netherlands. They clear customs and then truck the shipments to the residences in your case Italy so unfortunately we don’t offer a service where you can collect at the port in Italy. Even if we shipped it on its own to an Italian port I think you would have trouble trying to clear it through Italian customs and collecting it. I think it would costs you more than our delivery services from Rotterdam. You can find all our shipping household goods prices at our web site. I suggest looking at the small and large pallet service prices. They are all through to your curbside in Italy and are all inclusive. Click here for our international shipping calculator. You might also find our baggage rates a good option. This is again a door to door service and priced per suitcase. Click here for our international baggage rates. Hopefully one of these options will work well for you. You can see our rates start at $155.00 for shipping a large suitcase door to door to Italy. I live on a gravel driveway, if I pack the u crate in the garage are they then able to pick it up? Hello Saskia, its impossible to move a U Crate over gravel and often the trucks that come to collect your U Crate are too large to fit in a driveway so it might be your best bet to load it on the collection day on the curb by the road. You could practice loading it it the garage though so on the collection day you know exactly hoe everything fits! We have sole use of a 20ft container going to Canada with our household goods. A few items may raise eyebrows…should we ditch these? A plastic bin containing skulls of non-CITES listed animals such as fox, badger, dog, domestic cat….for use in creating works of art. All professionally cleaned. A couple of sealed bottles of our favourite instant coffee. A couple of 1 litre bottles of Baileys. 31 porcelain floor tiles left over from a DIY project. Lots of artist acrylic and watercolour paints and paintbrushes. It depends a little on how your mover or you describe it on the packing list. Something listed as a skull will cause concern where as it being described as art work would not. Technically food items like coffee are not allowed. Baileys is allowed but it will delay your container while the duties and taxes are worked out that you will have to pay. The delay charges plus the duty and tax will probably cost you more than what Baileys would cost you in a local store, so my advice is drink it at your going away party rather than ship it. The floor tiles and art paints should be fine as far as I know as get shipped a lot. I have a small storage shed with the house contents I want to ship from New Zealand to Mountain View California. 12 feet long 7 foot wide, 7 feet tall. I want to pack up what I want to keep, and have it delivered to my home in California. What will the cost be? Hi! Id love to know if i could put in a U-CRATE my suitcases for my clothes? basically i only have clothes + bags + some documents! Also will you help me out with all the paperwork i need and how long will all these paperwork take? Hello Carmen, yes the U Crate 50 is ideal for bags and suitcases, I just used one myself for moving clothes from the USA to Holland.Worked perfect! If you complete our quick quote from we can get you a custom quote for the Canaries. If i choose the Door To Door U-CRATE 50 option would you also be picking up the crate once its emptied in the final destination? Hello Lulu, actually no we don’t pick up the empty. Its yours to keep to re use again next time you move or use for storage or give to someone else that might be moving. If you have kids they can make great play houses as well. Hope that works ok for you, cheers The International Moving Doctor. I ordered the U Crate 200 but now I just saw its Terminal to Door delivery. I haven’t made my down payment yet but I would like to know what Terminal is meant by that? I have space to get that crate delivered at my house and would prefer that instead the Terminal. Is there an option to get it delivered or would I have to switch my order. Hello Lena, I’ll get your coordinator to contact you. Unfortunately our U Crate 200 is to big to be lifted on and off a truck at a residence so it has to be loaded at a terminal. The alternative is 2 U crate 100’s which we can do from your residence? I’ll get Alicia to contact you and discuss though. I have a question about strapping down boxes and suitcases on a pallet. I plan to plastic wrap the whole lot and then use tie-down straps (used by truck drivers) to secure it to the pallet. Is this the best solution? Do you have any other tips like how many straps, and what direction to put them? Hello Jan, that is exactly the best thing to do. I would shrink wrap and run some 2 inch packing tape around the shrink wrap to hold it in place. Then put one strap through the pallet and up and over one way and then one the other way or two going the same way works as well. I will ask email you some pictures as well. I hope that helps and Happy Packing! We are looking at a move from Sidney OH to Ponta Delgada San Miguel Azores in spring of 2020. Pallets vs crates. With pallets you are responsible for shrink wrapping your own pallets? How are the crates constructed to be order to fill them. One removable side perhaps? Trying to visualize. Since Azores is probably not one of your top destinations, any idea what kind of time frame we would be looking at? Thank you for your time. Hello Mark, I will be moving to Malta. I have some questions about the limits concerning things that “used to be alive.” Will I be able to ship the following things? A down-cushioned armchair, feather pillows, a shearling jacket, fur-lined boots, a coral necklace, a rattan-and wicker-table, a shadowbox picture made with dried wildflowers. The necklace, table, and shadowbox are all between 40 and 50 years old, made before any restrictions existed, if that makes a difference. But I do not have documents showing their age or origin. Hello Tina, good questions! I have replied to you on email but basically yes you will be ok.
We are moving household goods plus a car (old-1957) to France. We have gotten conflicting information on whether we must have a “Certificat de Changement de Residence” (Certificate of Change of Residence) or not in order to bring our HHG into France duty-free. Do we have to have this Certificat, or not? For HHG only (i.e., can we import the car permanently–we’ve owned it for more than 6 months as required)? What does UPakWeShip require for documentation without this Certificat? Hello David, I am fairly sure you do need the change of residence Certificate if shipping a 20 or 40 foot container direct into France with household goods and a car, but I am going to pass this over to Pete in the Charleston USA office who is the shipping manager and knows the requirements better than I. He will respond to you directly on email so look out for an email from him. If we go with your company do you handle all forms, including customs forms and TOR (sp?)? Do we need to provide a packing list (pretty sure you have a form for us to fill out) and do we send the packing list to you? How detailed does the packing list need to be? Can we list like this: Box 1 – Women’s clothing and shoes; Box 2 – kitchen utensils and pots; Box 3 – photos and memorabilia ? We ship to the UK every week and have our own office there to arrange customs clearance and delivery. Hope that helps, anything else let me know, cheers The International Moving Doctor.